Have you ever explored the different features of your email account? How do you end your emails? Do you actually write your name and then followed by your business details? While you can always do this every single time you compose an email or write a response to an email sent to you, there is actually an easier and faster way wherein you won’t have to do that. This feature is called email signature and it is present in most, if not all, email clients. This feature allows you to attach an image or file that contains all the necessary details about you as the sender, wherein once set, this file will appear all throughout your emails, saving you a lot of time. 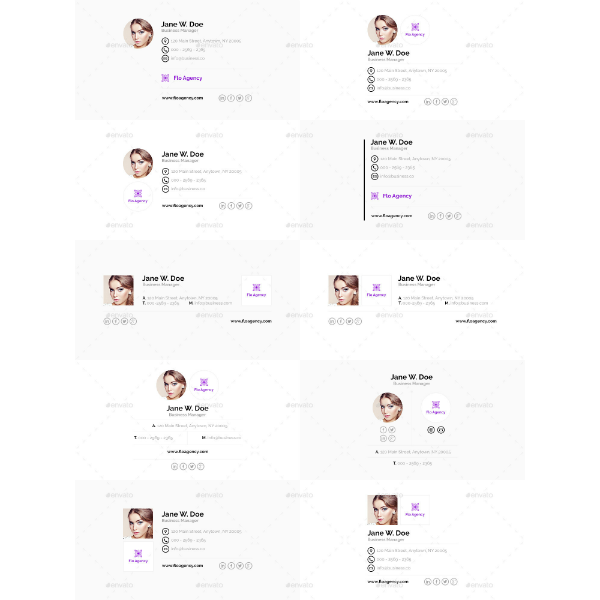 Here, we have a collection of various clean-looking email signature templates and designs that are all downloadable and editable. 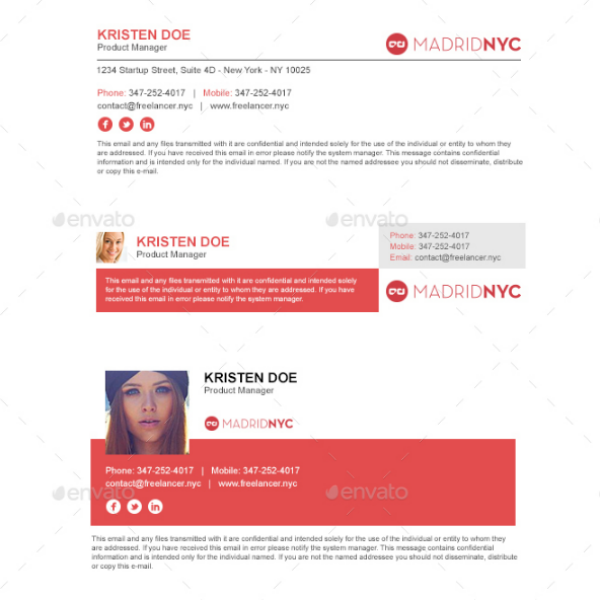 These Email Signature samples are highly versatile that they can be used for both personal and professional purposes. Check them out below. Keep the signature short and precise, include only the most important information to avoid creating confusion on the part of the recipient. The most important information include the sender’s name, the name of the company they represent, their physical address, and their phone number. 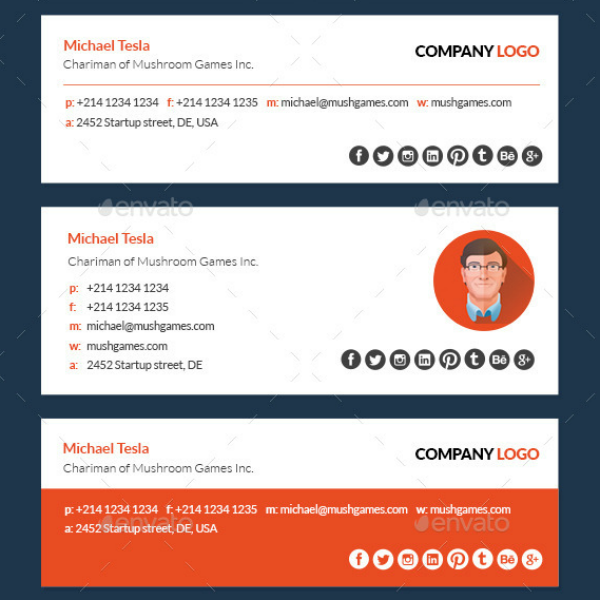 Since these email signatures are meant for businesses, they should look professional. Therefore, the font used should be plain and simple, such as serif or sans serif, stay away from fancy fonts. 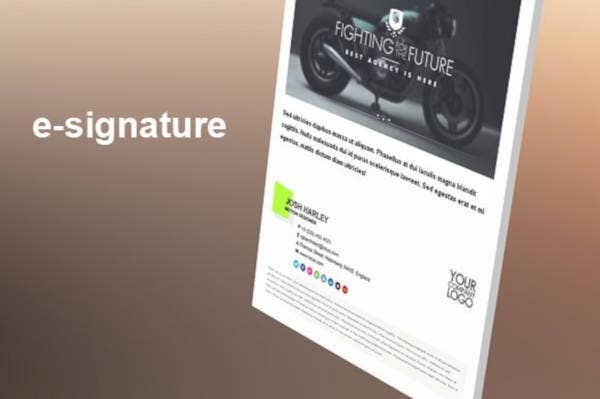 Include social media links on your signature. 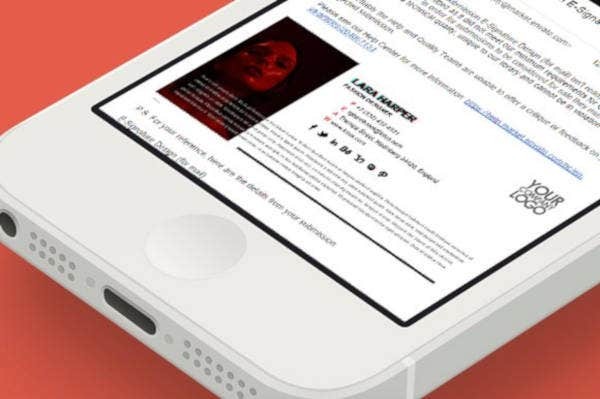 Different platforms have different methods on how you may be able to add a clickable icon that will redirect readers to your social media site. 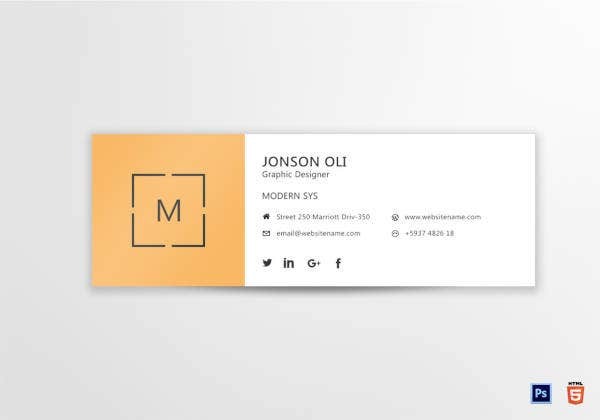 If you prefer not to add a clickable icon, simply copy and paste the URL of your social media page on your email signature. 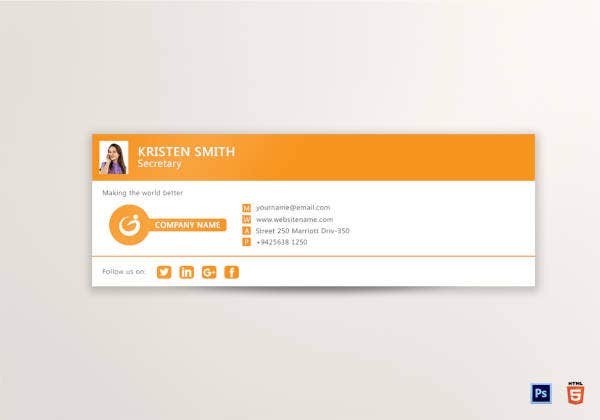 Remember to be consistent with the design of your email signatures, readers should be able to easily associate your email with your business from the email signature alone. How to Add an Email Signature? Adding an email signature is actually not a big deal, it’s as simple as one-two-three. Here, we’ll be teaching you a very simple step-by-step process on how you can add your own email signature on your email account. Since some of the most commonly-used email clients include Google’s Gmail, Mozilla’s Thunderbird, and Microsoft’s Outlook, we’ll be providing tutorials for the three of them. On your Gmail toolbar, you can find the Settings button on the upper-right corner of the screen in the form of a gear icon, click on it. A drop-down menu should appear after you have clicked on the Settings button, highlight the Settings option and click on it. Under the General tab, scroll down to find the Signature section. If you wish to use a purely textual email signature, input the details on the text box provided. 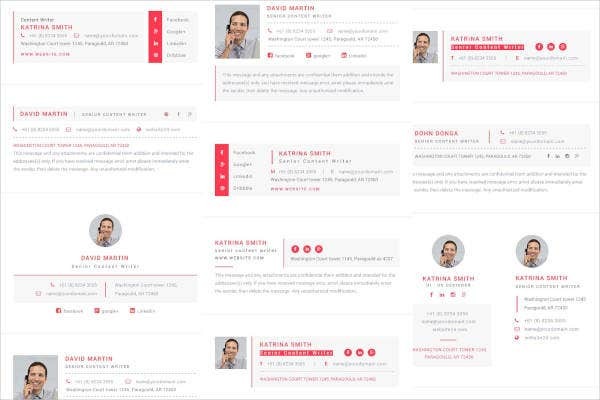 However, if you were able to design an email signature using any of our templates, simply click on the Insert Image icon and select the edited design. After which, click on the Save Changes button. 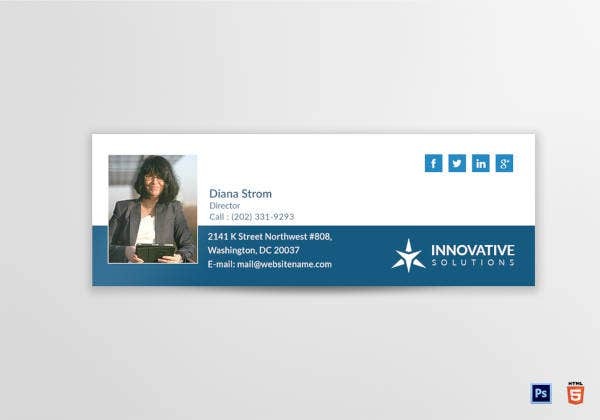 By now, every time you Compose a new email, your email signature should already appear on the text box. While in Thunderbird’s interface, go to the Options menu and click on Account Settings. 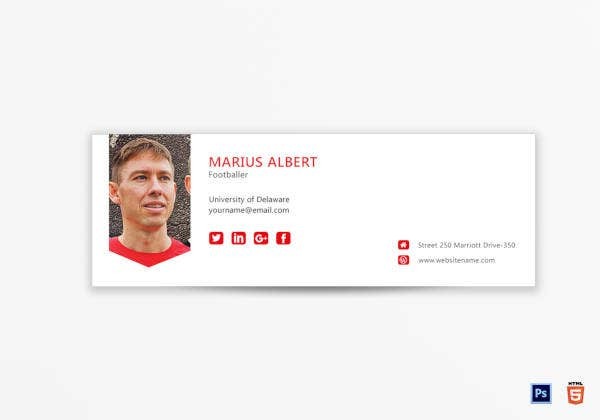 On the left-side panel, highlight the name of the account that you want your email signature to be attached. If there are multiple email accounts, make sure that you have selected the correct account before proceeding to the next step. Otherwise, your email signature meant for one account might appear on another one. 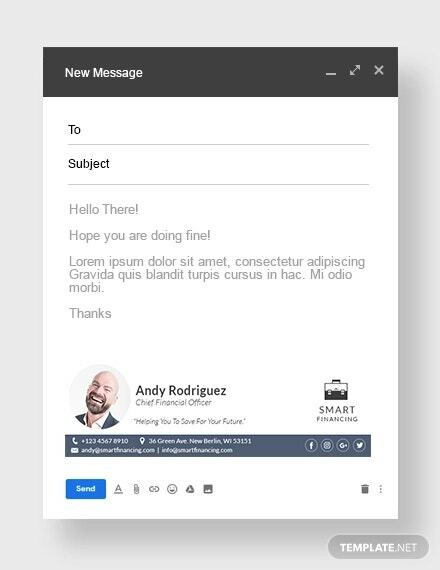 If you are planning to use a plain textual email signature, a text box is provided where you can type the details that you want to appear at the end of every email. 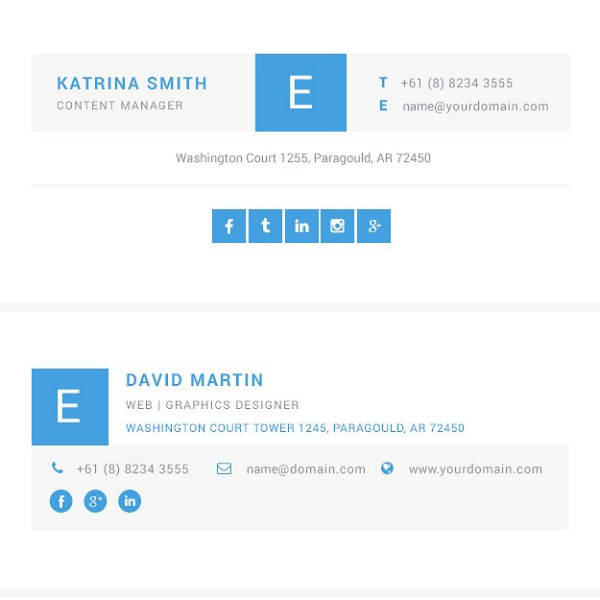 Simply input your name, title, and contact details on the text box. On the other hand, if you are planning to use an email signature that you have designed (either from scratch or with the help of our templates), click on the checkbox labeled Attach the Signature from a File Instead and click on the Choose button. Find your edited design or copy and paste the HTML of the design on the space provided. 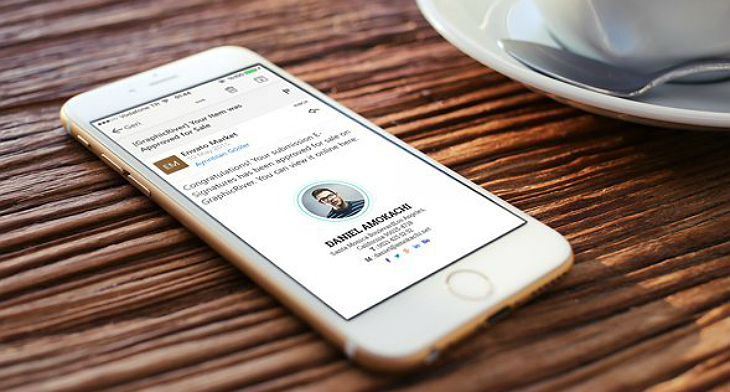 Click on the OK button after attaching your email signature. Go to the Messages menu and find Signature. Under the Select Signature to Edit, click on New to bring up the New Signature dialog box and write a title for this Signature. On the bottom part of this dialog box is the Edit Signature text box where you can input the details for your email signature. 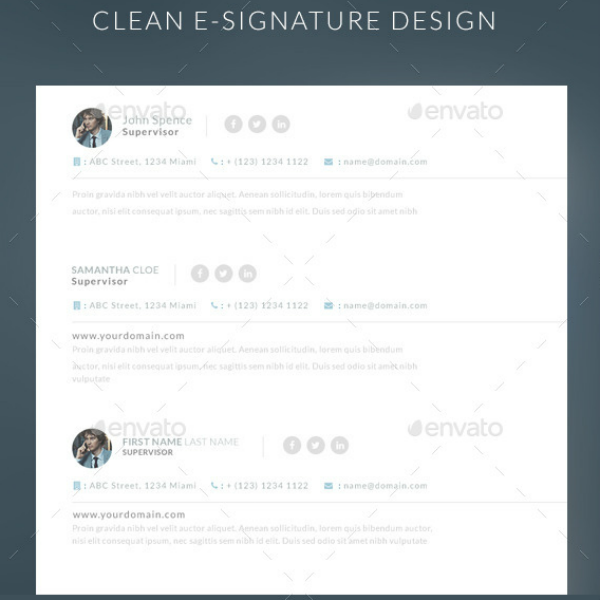 Right above the Edit Signature text box is a Formatting option where you are able to add an HTML link or an image of your email signature design. On the upper right corner of this dialog box is the Choose Default Signature, set the email account that will associated with your signature. If you want your email signature to appear automatically on all your new messages, click on the New Messages drop-down menu and choose the title of your signature. Do the same for the Replies/Forwards drop-down menu if you want your email signature to automatically appear there as well.